Do you have a case that you would like to tell us about? Simply fill out the form below and we will review your case as soon as possible. Asset Protection & Medicaid Planning Experts! Avoid common mistakes by consulting an experienced Medicaid attorney. Learn more about Medicaid Mistakes here. People have many questions regarding Medicaid planning and Medicaid help. Get answers to your Medicaid questions here. Medicaid planning is essential to protecting your assets and your families future. Learn more about Medicaid planning here. Will Medicaid Take My Home? Why I need an Estate Plan? Worth It to Get Long-Term Care Insurance? What is a Veterans EVR? Will vs Trust: Which is better? What is an Incentive Trust? What if I Die Without a Will? Should I Have a Trust or Will? Understanding Medicaid can be a daunting task, especially if you’re needing to qualify in a short time period. There are many myths associated with Medicaid that have prevented people from even applying for this important care plan. Here’s a brief (but not exhaustive) overview of Medicaid myths to help you compare fact to fiction. False. When it comes to Medicaid planning, it is never too late. While it’s true that early, proper Medicaid planning helps improve loved ones’ care and widens the amount of options available, you can still receive quality care later on in life. False. All assets held within your trust or your loved one’s trust are still considered when applying for Medicaid. According to Medicaid, transferring of assets remains limited for less than fair market value. In order to avoid disqualification from Medicaid, it’s important you avoid transferring property to others without legal counsel. False. While you can mentally justify not reporting certain assets while applying for Medicaid to help you qualify, it doesn’t work. This misrepresentation can cause criminal liability and certainly eliminate a recipient from qualifying. False. It isn’t imperative you reduce your income to qualify for Medicaid. In fact, if you’re working with an experienced attorney, you’ll be able to find a way to be eligible for this helpful care plan. 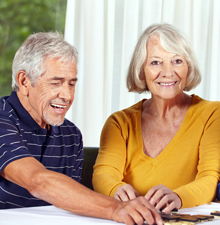 Or, if qualification isn’t possible, an attorney can help find other long-term care options that may be a better fit. 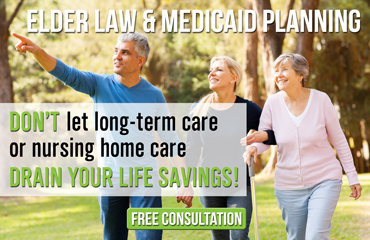 The Elder Law Firm PC provides expert advice regarding Medicaid and Medicaid planning for clients seeking assistance in paying for both short- and long-term healthcare costs. If you have a question regarding Medicaid and/or Medicare, please call us today at (877) 933-7252. Grand Rapids-area residents can attend a free seminar led by attorney The Elder Law Firm PC several times a month that teaches guests more about Medicaid planning. Call to reserve your spot at this exciting and informative event. Let a message or suggestion. Send us an email, we appreciate your opinion. Copyright © 2019 The Elder Law Firm PC. All Rights Reserved. The Elder Law Firm PC will travel to any residence or nursing home to meet with individuals and families in the lower peninsula of Michigan including; Grand Rapids, Southfield, Wyoming, Kalamazoo, Farmington Hills, Troy, Westland, Livonia, Dearborn, Flint, Ann Arbor, Lansing, Sterling Heights, Warren, East Grand Rapids, Detroit, Grosse Pointe, Traverse City, Midland, Mt Pleasant, Muskegon, Holland, Grand Haven, Brighton, Howell, Jackson, Battle Creek, Big Rapids, Saginaw, Bloomfield Hills, West Bloomfield, Canton and all other cities in Michigan. The information on this Grand Rapids Attorney and Michigan Attorney website is for general information purposes only. Nothing on this or associated pages, documents, comments, answers, emails, or other communications should be taken as legal advice for any individual case or situation. This information on this website is not intended to create, and receipt or viewing of this information does not constitute, an attorney-client relationship. Marketing, Web Design & SEO by Web Traffic Partners, Inc.